If you are a web developer, you have a ton of scopes in the contemporary digitalised world. Digital marketing is fast expanding, and you can make your way into your dream company if you possess the desired skills. 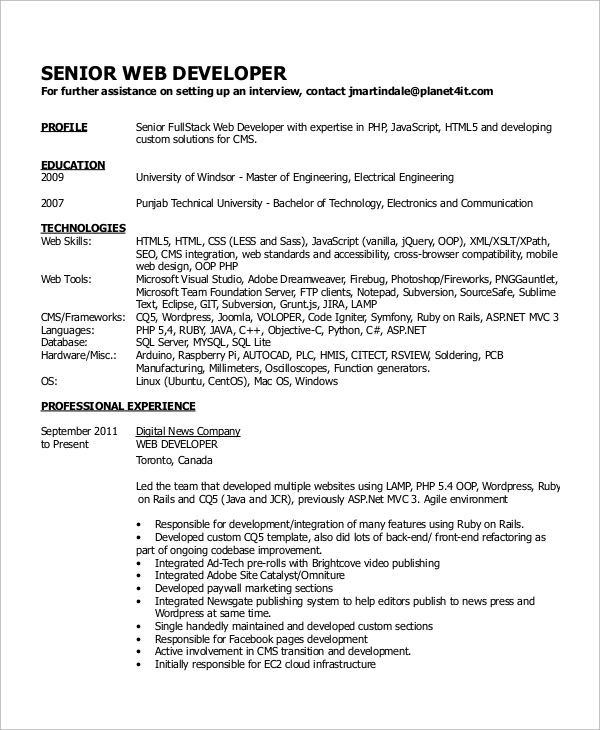 A killing Web Developer Resume will help you to land on the right platform. While crafting the resume, you need to focus on your IT certifications, qualifications, experience and skills. 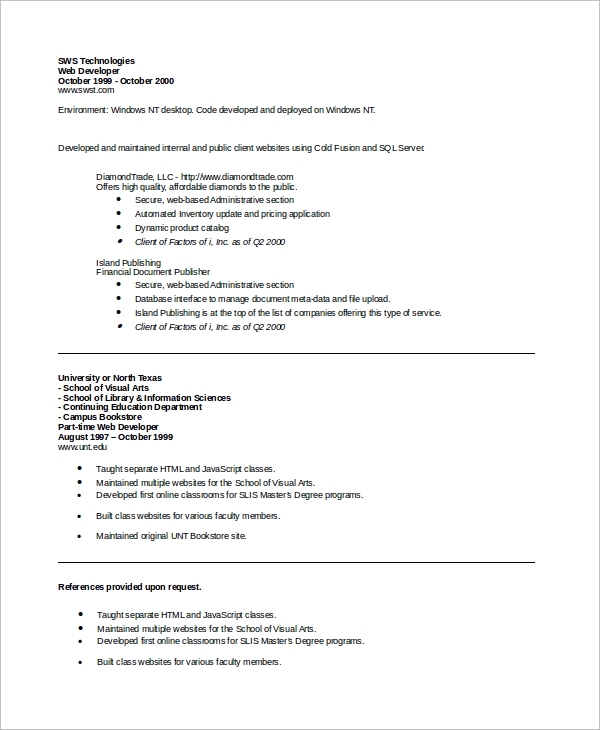 Since formatting the resume in the right manner is immensely crucial, you can follow any of the formats, as presented in the Sample Resumes below. If you are experienced, it is better to mention it right in the beginning. Then the educational qualifications and technical skills are presented in a palatable manner. Different job titles are used while writing the experience. 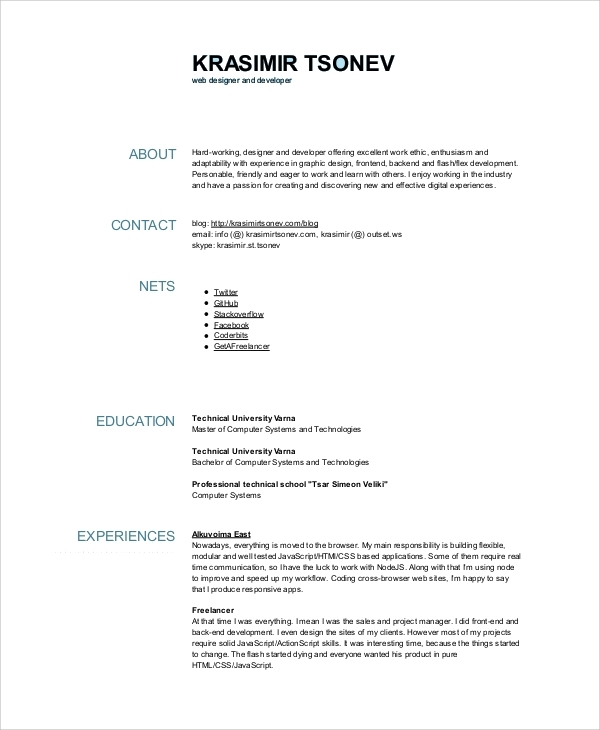 A descriptive profile is presented in this Resume Format. 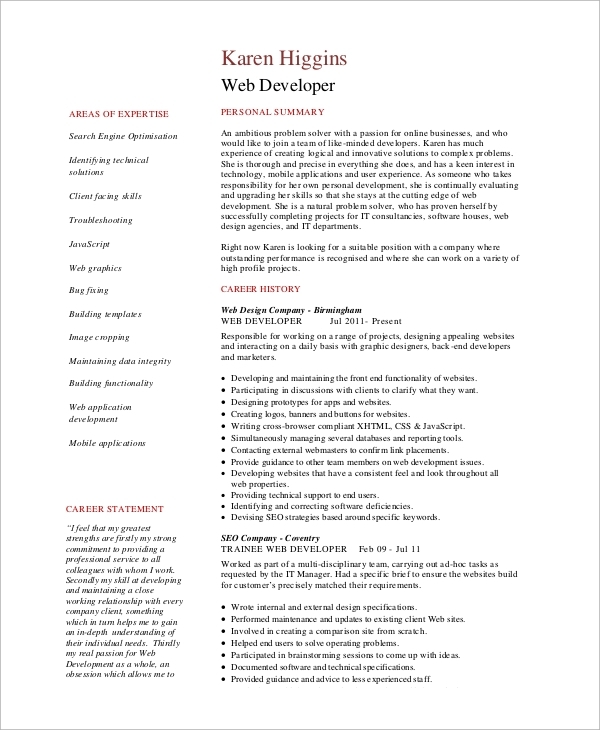 Then the skills in web development are listed up with bullet points. You can also mention the general skills, and include the voluntary works and interests towards the end. In an entry level Web Developer Resume Samples, the skills are mentioned diplomatically in the career summary right at the beginning. You can write the academic qualifications and the experience you gained through internships to make your profile saleable. 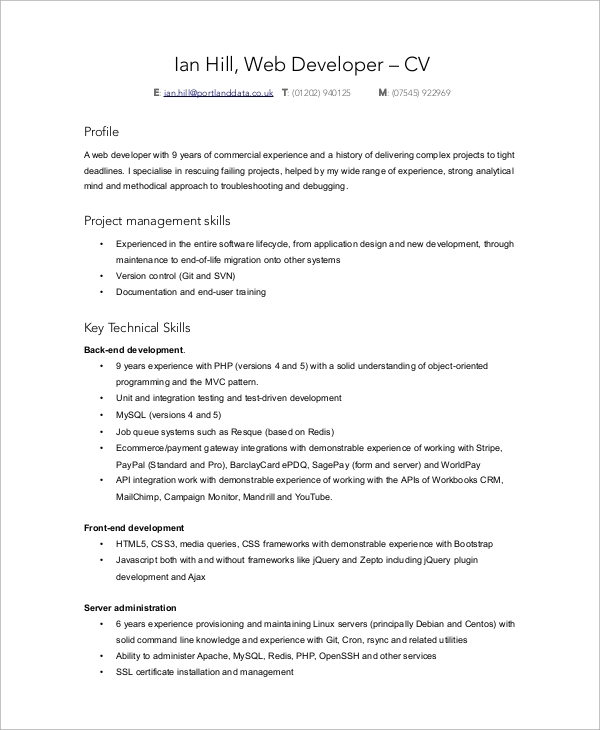 What Information is to be Included in the Web Developer Resume? If you are an IT Professional, you need to streamline your resume to find the right job. 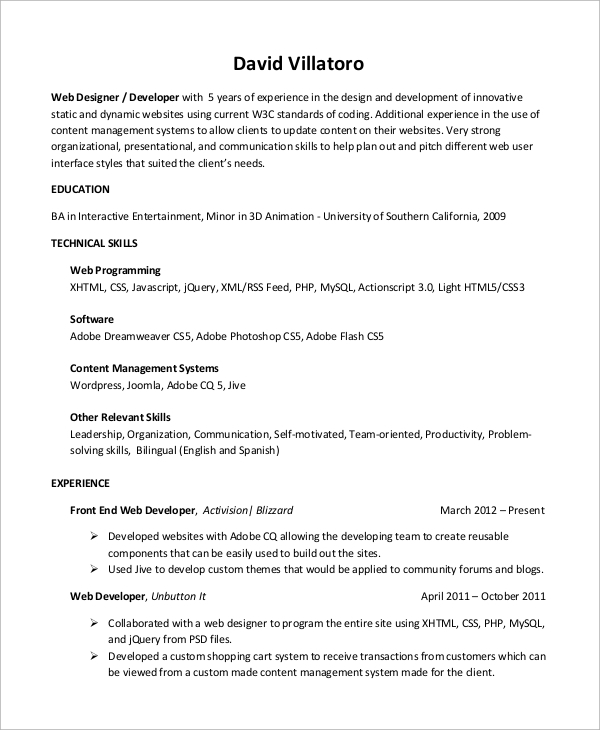 So, here is a shot guideline to mold your resume. Skills and certifications are valued assets for IT professionals. It is wise to write the enlist you to possess at the top. You can use bullet points to make the Professional Resume attractive. There should be a separate contact section with your address, phone number, email address and social media links. Apart from this, create different sections for educational aspects. The experience sector has to be conspicuous. If you have any special achievement, mention it in bold. If you are a freelance web developer, you should mention the experience in the beginning. Then use different job titles and write your experience for each of these aspects. Use a chronological format if you want. This resume has the objective part right at the outset. You can focus on the technologies known to you in a separate paragraph, and then write your experience, qualifications, and other relevant aspects. 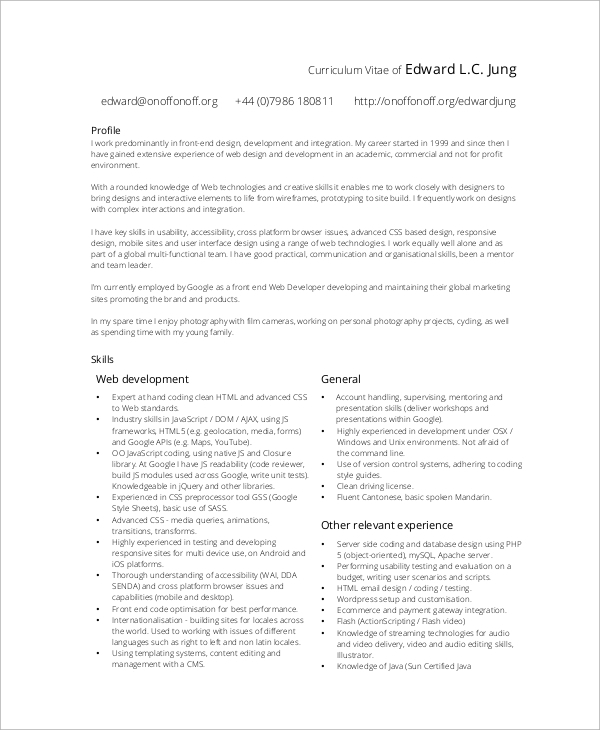 How to Tailor a Web Developer Resume? Programmer Resume Samples have an impressive work experience. 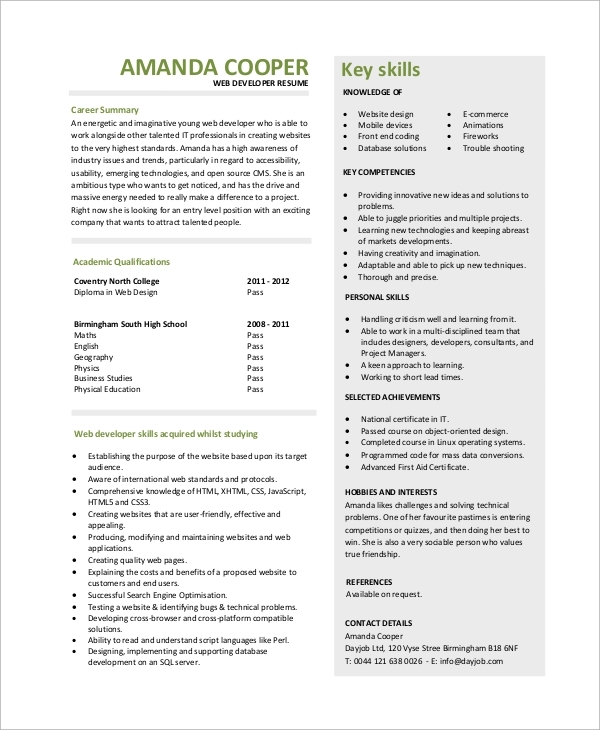 You can incorporate statistics and figures in your resume to enhance it professionally. Make sure that you do not make the educational sector too boring. Instead, if you have worked for any e-commerce company, put it on the top. It is because recruiters are interested in hiring candidates with experience in creating digital marketing websites and you can prove your skills here. Next, you can do a bit of homework regarding the background of the company you are applying for and mold your profile as per the requirement of the company to specify your relevance. You need to be choosy about the words you use in your resume. 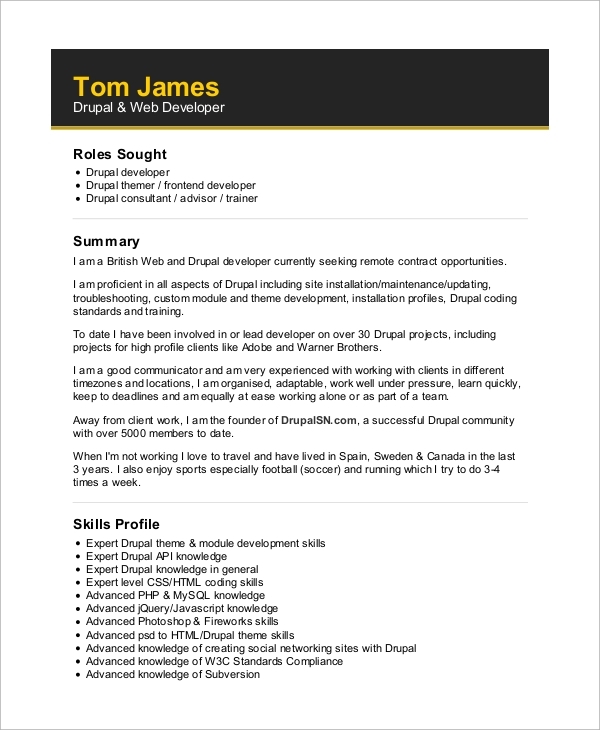 In case you need an effective resume, you can check out the website for Web Developer Resume Templates and Software Engineer Resumes. 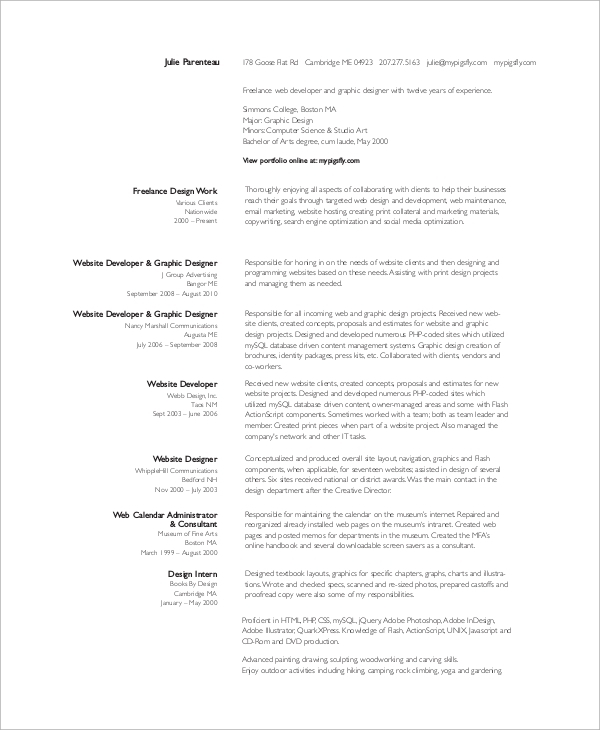 If you are a recruiter, you may need a Web Designer Job Description. Browse the website for all these documents and customize them to suit your needs.